The laundry room often gets ignored, but just like everything else, it needs to be maintained and repaired every so often. One of the most common problems in a laundry room is that the standpipe may overflow when your washing machine drains. If this happens, you can first check for a clogged vent pipe. From there you can try and snake the drainpipe. A snake is a tool that can unclog pipes and toilets with ease, going beyond what a plunger can do. If this doesn’t work, you may have to extend the standpipe or even replace it with a wider pipe. Things like socks or debris can leave the washer and get stuck in the standpipe. Another thing that you should check every so often are your water hoses. Water hoses may leak or burst over time, so it’s a good preventative maintenance practice to make sure the hoses are in good working condition. Even a small blister on the hose may cause a rupture in the near future. If you need to replace the water hoses, then you should invest in getting stainless steel fill hoses (they do the job better). Leveling is important as well. If your washing machine vibrates and almost walks around because of the vibration, then your washing machine isn’t leveled correctly. Make sure to tighten the lock nut against the body of the machine and/or keep the leg of the machine to the correct height. 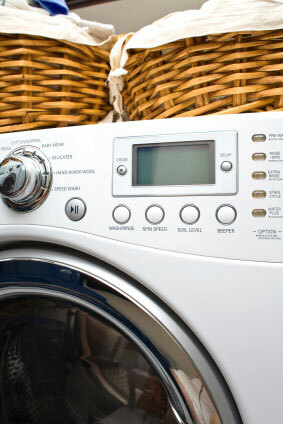 A vibrating washing machine can lead to more problems or multiple problems occurring at the same time. Lastly, remember to always clean out the lint disposal of the dryer. Doing so will prevent dryer fires. This simple step can save your life, so why not take the extra seconds to clean the lint disposal and reinsert it into the dryer to keep it fresh. 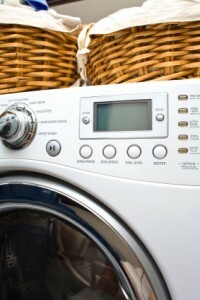 These tips will help you maintain your washer and dryer.